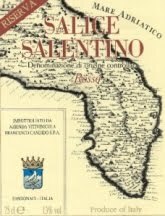 Last night I tasted the Salice Salentino 2005 Riserva by the Candido family in Puglia. Salice Salentino is the name of a style of wine made from the Italian grape, Negroamaro, found on the Salentino plain located in Puglia, the heel of the “boot” of Italy. Salice Salentino by Candido has an acidity like a table made only of neon light: the edges are the fluorescent bright taste of redcurrant and bilberry. The acidity frames a space filled with a perfume of prune, mushrooms and dry raspberry (must remember, real raspberries taste dry). It is a brick red with orange glints. 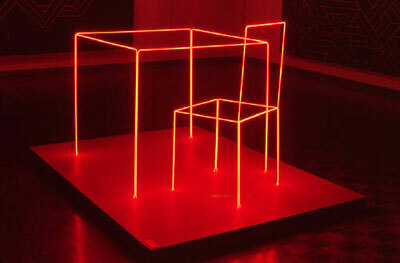 But this is where the limit of description ends and where the music begins. Alongside the wine we enjoyed the local cheese from Puglia, scamorza (a smoky, hard mozzarella). The smokiness of the cheese became the bottom note completing the earth-fruit in the wine, pulling together the flavours and perfume notes into one perfect chord so satisfying you forget all the hours spent practicing scales and learning facts. And what are those facts? The name of an Italian wine is often the wine style made synonymous with a region rather than the name of the grape (Barolo, Nebbiolo; Frascati, Trebbiano and Malvasia; Valpolicella, Corvina, Rondinella, Molinara; and, so on). At first, the acidity may give the taste-appearance of emptiness on the palate but Italian wine is completed by food, and once opened, it is impossible to find the table empty for long. Laughter in the Dark, Nabokov, 1938. Posted in Food, Puglia, South Italy. RSS 2.0 feed.